Wolf Design Laser Cut Black And Gold Pocket Knife | BUDK.com - Knives & Swords At The Lowest Prices! 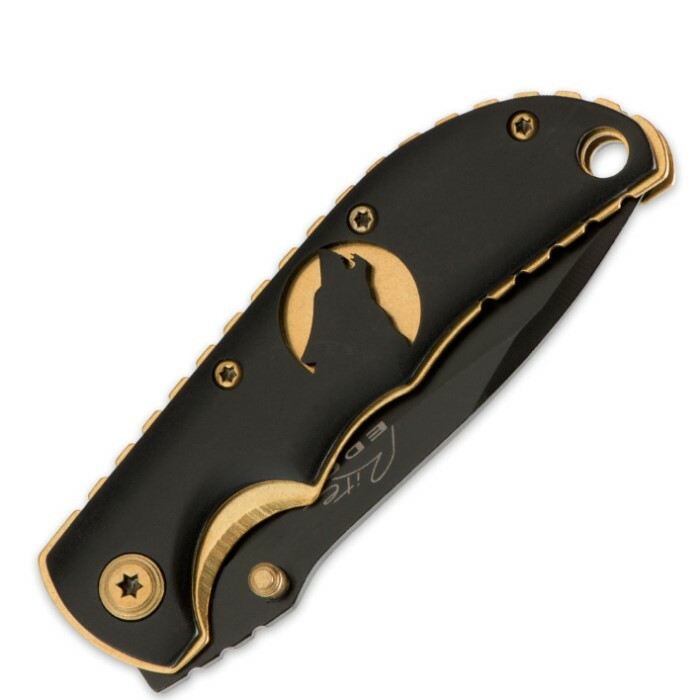 From the Golden Wildlife Series come an incredibly designed knife that features a laser cut wolf design on a show-stopping black and bold aluminum handle. Complimenting this handle is a finger-grooved gold tone aluminum liner with black composition on-lays. 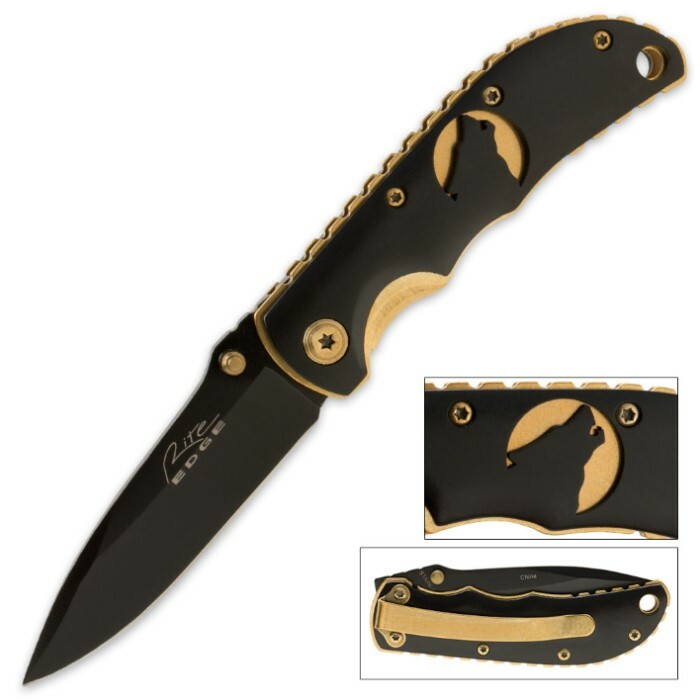 This folding knife features a 2 3/4" black 3CR13 stainless steel, drop point blade and gold tone dual thumb studs and thumb ridge. It also has a lanyard hole and gold tone a stainless steel pocket clip.